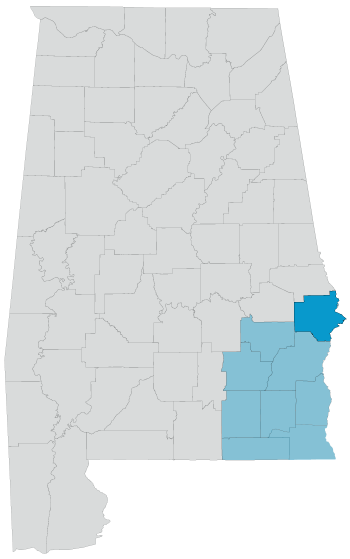 Russell County is situated in east-central Alabama, along the border of Georgia, and has a population of almost 53,000 people. The cities and towns located in Russell County include Phenix City and Hurtsboro. The county is part of the Columbus, GA-AL Metropolitan Statistical Area. The county hosts eight major roadways, consisting of US Highways 80, 280, 431, and State Routes 26, 51, 165, 169, 208.